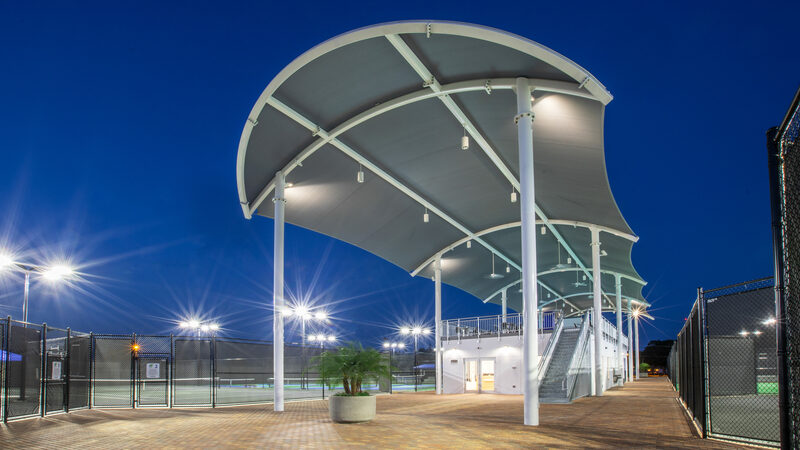 Winter Haven Tennis Facility | WMB-ROI, Inc. 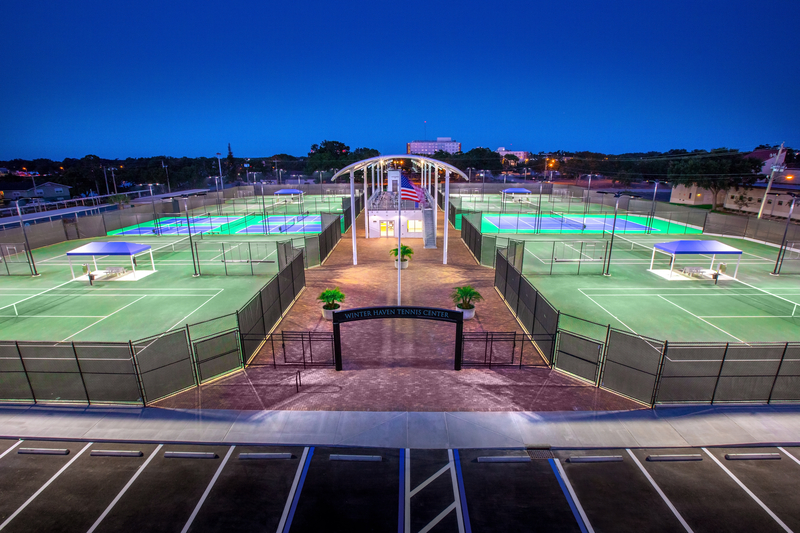 In an effort to increase usage of public facilities, WMB-ROI worked with the City of Winter Haven to revamp their municipal tennis complex, addressing everything from the court surfaces to the viewing areas. 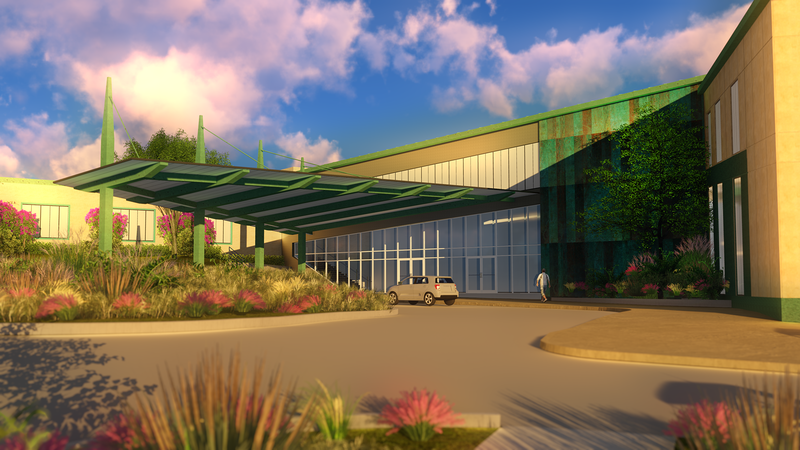 Based on feedback from public outreach, WMB-ROI explored four different planning options for the new facility, eventually arriving at a design that shifted the existing facilities north to offer potential future expansion, improved site flexibility, and a cost effective use of the existing parking lots. The new design centralizes a 2100 S.F. 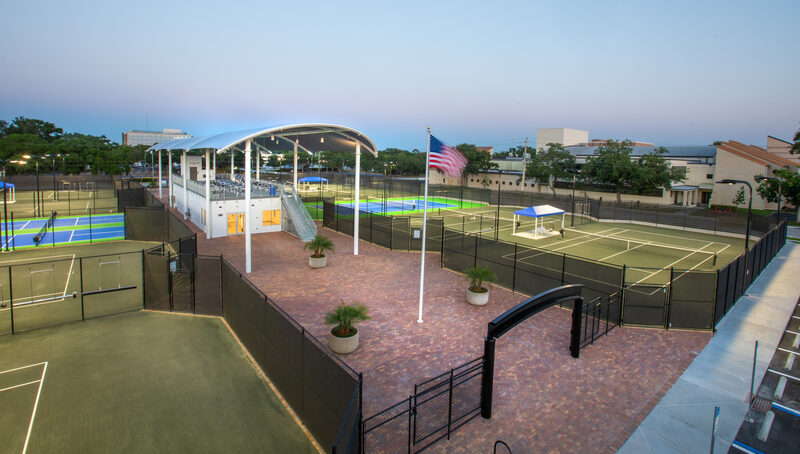 single story clubhouse with a shaded rooftop observation booth in clear view of all playing courts. The clubhouse features a lounge, a pro shop, locker rooms with showers, and a rooftop observation deck with full ADA access. To improve site flexibility, four pickleball courts were installed to the north of the clubhouse. 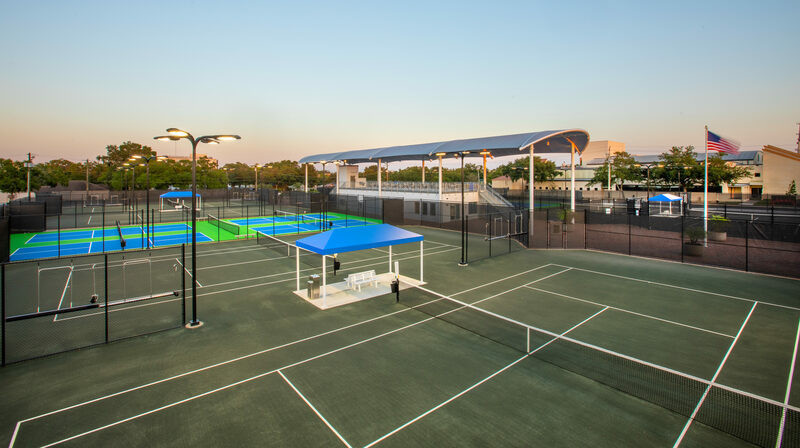 Replacing the original concrete courts are eight USTA standard clay courts, as well as an asphalt practice court and a large family picnic area.